Ada pertanyaan untuk Tiara Oriental Hotel? 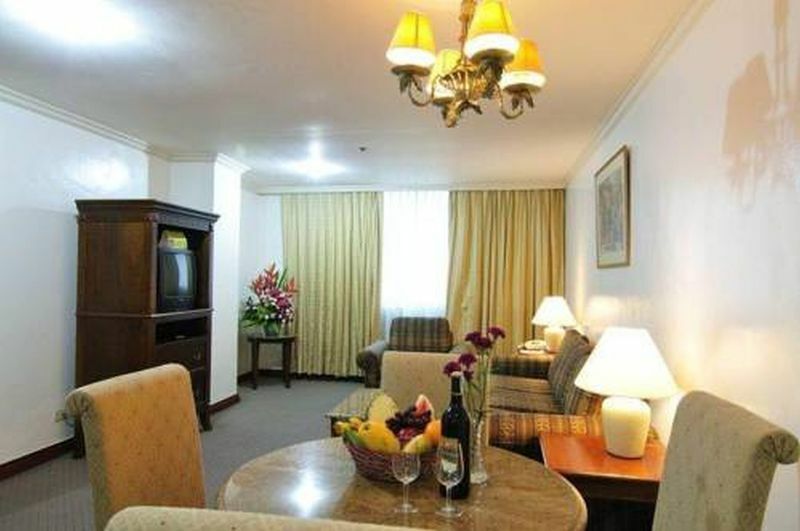 Menawarkan akomodasi berkualitas di distrik berbelanja, restoran, kehidupan malam di Manila, Tiara Oriental Hotel adalah pilihan populer bagi para wisatawan bisnis dan plesiran. Dari sini, para tamu dapat menikmati akses mudah ke semua hal yang dapat ditemukan di sebuah kota yang aktif ini. Untuk pilihan lokasi jalan-jalan dan obyek wisata lokal, Anda tidak perlu pergi jauh-jauh karena hotel ini terletak dekat dengan Makati Medical Center, Kedutaan Besar Kanada, Kedutaan Besar Jerman. Gunakan kesempatan untuk menikmati pelayanan dan fasilitas yang tidak tertandingi di hotel Manila ini. Parkir valet, tempat parkir mobil, layanan kamar, antar-jemput bandara, restoran hanyalah beberapa dari fasilitas yang membedakan Tiara Oriental Hotel dengan hotel-hotel lain di kota ini. Masuki salah satu dari 114 kamar yang menggoda ini dan lepaskan rasa penat Anda dengan sejumlah fasilitas yang tersedia seperti kamar bebas asap rokok, AC, layanan bangun pagi, meja tulis, bar mini. 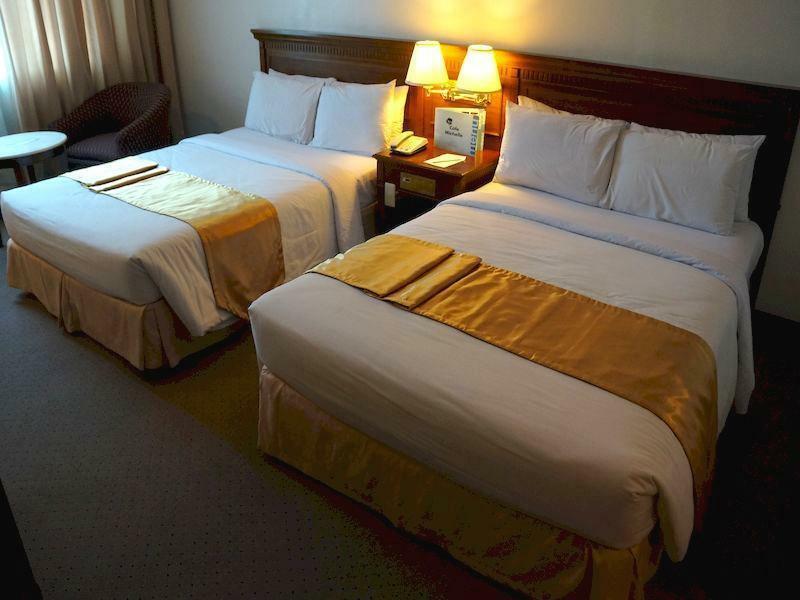 Hotel ini menawarkan berbagai pengalaman hiburan unik seperti pusat kebugaran. Temukan paduan menarik dari pelayanan profesional dan sejumlah fasilitas di Tiara Oriental Hotel. Semua kamar di properti ini bebas asap rokok. Our room accommodation was Junior Suite. It was clean, spacious and ideal to receive guests. Though one of lights were busted when we entered our room, maintenance guys were quick to act to replace it. Staff members were accommodating. We requested restaurant staff to slice fruits and they happily serviced us. 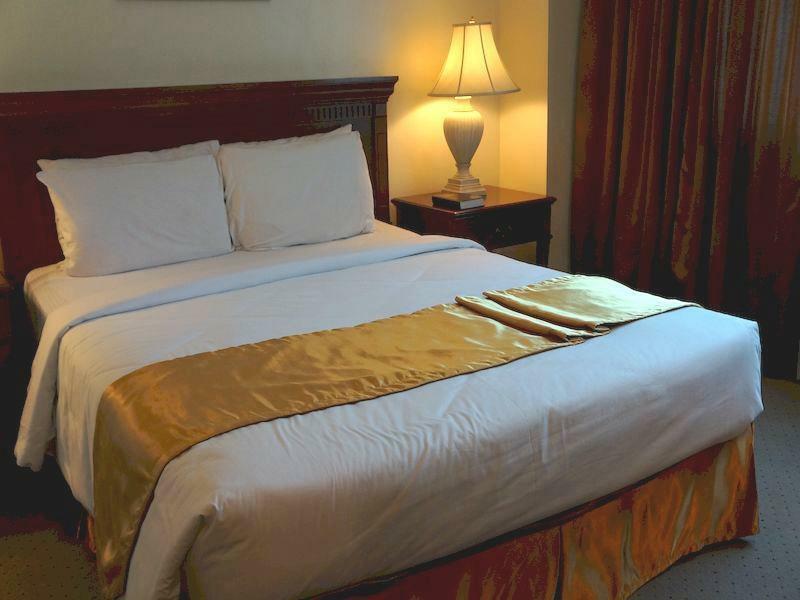 An older style hotel but with very spacious comfortable rooms representing good value. Good elevators with a restaurant on ground floor. 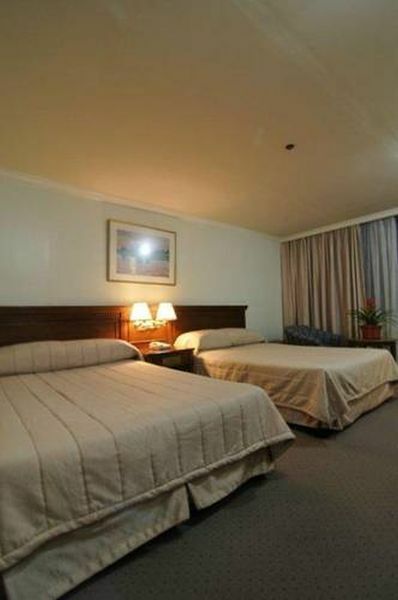 It’s located a short walk from Ayala Avenue and near to Makati Medical Centre. Salute to the management! I had a pleasant stay at this hotel. The standard room was spacious, carpeted, has a nice window view. There were shower and bathtub. 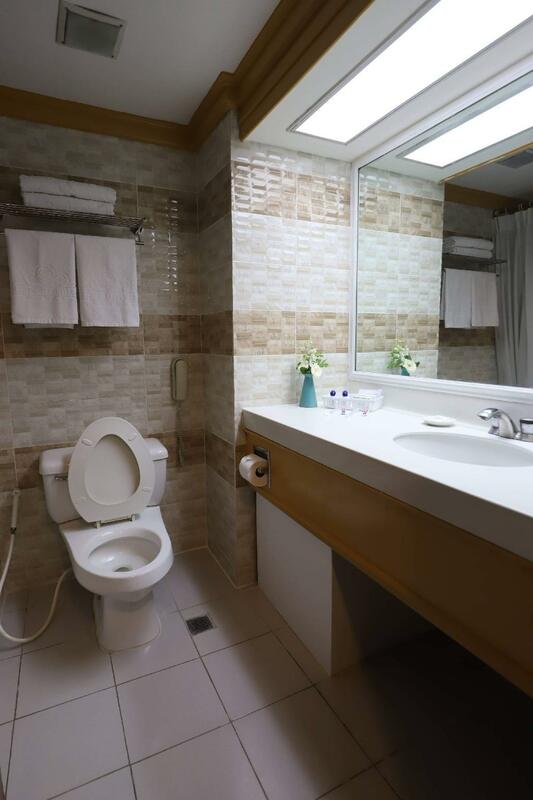 The room also comes with mini refrigerator, electric water heater, and hair dryer. Customer service was also excellent. I overslept and was supposed to check out at 12noon but was allowed to extend without pay until 1:30pm. I will diffinetely come back to this hotel because of my pleasant experience. The bed is very large, the decoration is relatively simple, and there is a radio accident, which is very suitable for living at home. Our stay was good. we were surprised that the breakfast was free for only 1 person and I could not read it in the internet, when I booked this hotel. the same with the wifi internet. you have to pay 100 php for 1 hour. it is not ok with the breakfast and internet. the food in the restaurant was very good and we enjoyed it to eat there. 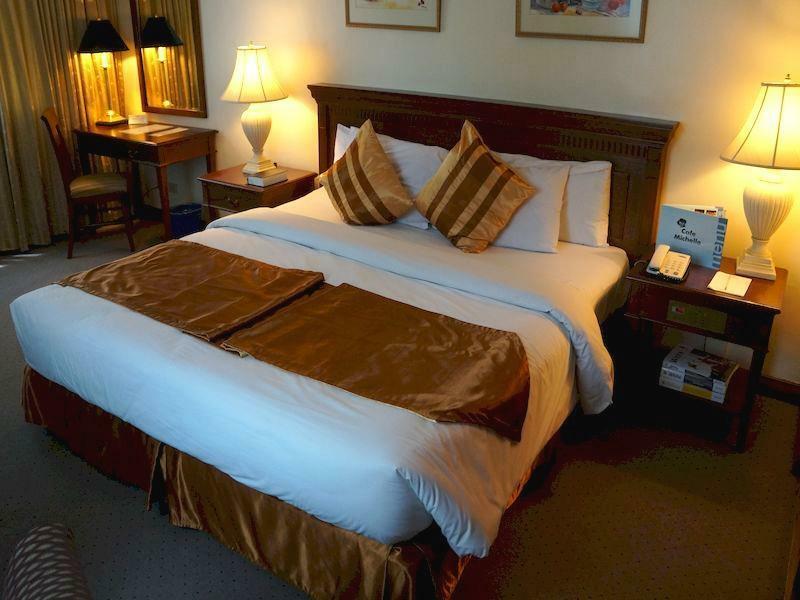 The room is very nice, evrything is neat, tidy and clean. I felt the perfect relaxation I wanted during my stay there. The staff are very courteous and approachable. 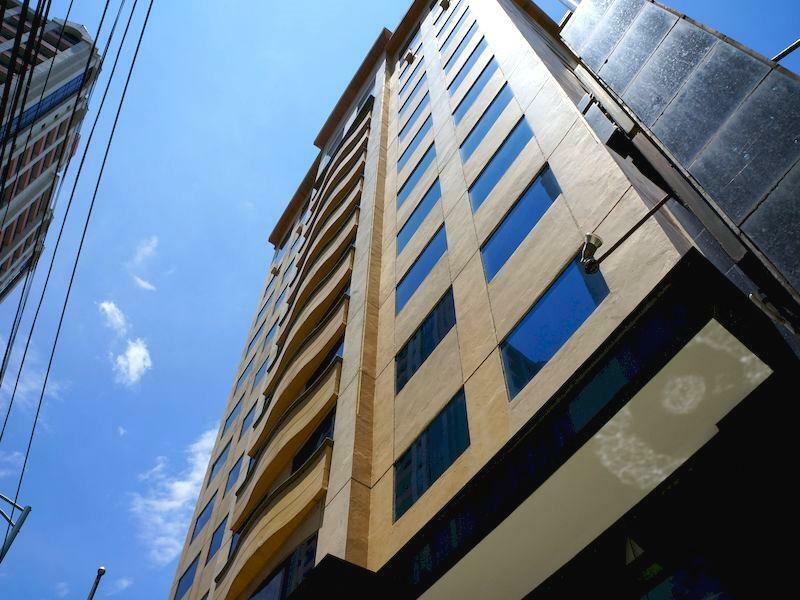 The place is walking distance or minutes away from the mall and other business centers in makati. Thank you and hope to be there again one day..
Just ok for a quick stay. The reception staff on duty is not accommodating enough as usual hotels. They do not give free water or welcome drinks, you have to ask for toothbrush/toothpaste, the room just have one set of coffee, pillow and towels seems old. Price for food is pricey for the taste. The design and structure is old style. The bathroom curtain has a foul smell. You can hear noise when people are walking the hallway. For sure this is one of the better value hotels we have stayed and a good value. We are not demanding travelers and only expect cleanliness and courtesy As others have mentioned their wifi policy is really bad but for our own security we travel with pocket wifi so it didn't effect us. Booked this hotel at the last minute as there were no nearby hotels I could go to and it was late. It's a kinda old hotel that needs a lot of improvement. Booking doesn't come with breakfast, but for its price you can find a nicer hotel with breakast already. No free bottled water. The room is quite spacious. But the room smells old and especially the sheets. I had to call front desk to let them know the TV isnt working properly because you cannot use the remote nor the main switches of the TV. Towels look old too. At least they have hot and cold shower. I will not be spending my money in this kind of hotel. If they will renovate and improve, it could have been nice. We checked out leaving celphone charger in the room We went back 15mins after to claim charger but it wasn't there anymore. Front desk kept saying that nobody entered our room after our check out but someone must went in to check the room since we waited for clearing. Hotel gave us green sign to go out. We went into the room with hotel staff but we couldn't find celphone charger. Few minutes later, they came back and bring us our charger saying it was in the room. This kind of experience is first time in our hotel stays. Probably my worst hotel stay, will definitely not recommend or go back. Where do I begin? I was alone in a two bed room. I noticed that one bed had a blood stain (around a drop’s size) on the bedsheet while the other bed had a stain on the bedcover. I got it changed late at night and didn’t mind it. But the next day, I did a close inspection and found another blood stain on the sheets and I know it was a different shaped stain. How many of their sheets are bloodied and still used? I tried using the safe, only for it to error in alarm - prompting me to have to call housekeeping (it was low on battery). The hot water was pretty good, but lasted only 30 seconds before going cold. There was all sorts of rust and mold growing in and outside of the bath tub. There are no sockets conveniently near the bed, it’s good I brought an extension cord. Don’t be fooled by the listing, there is NO free breakfast with your booking. But hey, the parking was free so that was a plus. the pillow is not comfortable. linens and sheets have stains. hot and cold shower not working well. if you want clean bed, fresh sheets and hot water, then forget this place. It was awful. Bed sheets were old and appeared to not be very clean, bathroom was a disgrace, no hot water and facilities were bare minimum. No tourist map available which was a big surprise. Most of the staff didn't even know a location a few blocks away. Value for money was totally unacceptable. We feel secure and comfortable and we really appreciate the presence of the Bible. We stayed in a standard room for 2 pax with my sister. The room is clean, we loved it actually but the wifi is so slow. We did not see a cctv camera along the corridor to our room, only the one installed in the elevator corridor. Staffs in the information are not that courteous and seems like their smiles were too expensive as well as the staffs in the restaurant.Hopefully they should provide a free breakfast for two, not only one. But I can say we'll definitely return in this hotel. We were coming from north and had to check it late. We arrived at the hotel around 12:30am and immediately checked-in. Staff asked for a printed agoda voucher (as agoda user, it is my first time ever to be asked for a printed voucher) but I informed her that the electronic voucher I presented here is already sufficient. Room is a bit pricey since it only comes with 1 breakfast. Will booked again just for sleeping due to location. I stayed in the hotel when I went to the German Embassy. Its just a walking distance going to RCBC Plaza and the staff was very helpful when I get lost in the area. Breakfast was superb. 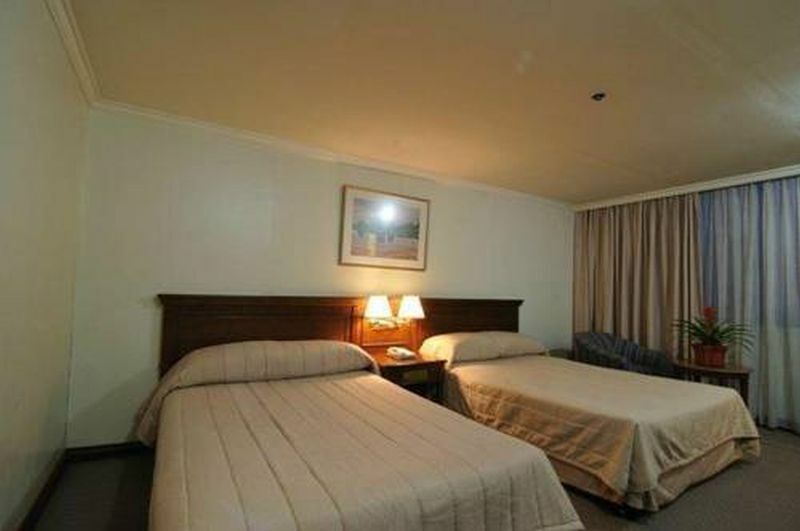 Room was spacious with big bed which even can accommodate 3 persons.